Hurt in an Elevator Accident? 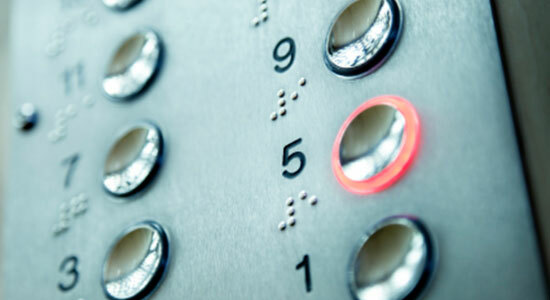 We have years of experience fighting for the rights of elevator accident victims. Our legal teams find that elevator accidents are preventable and the result of one or more issues that knowingly went ignored to save time or money. In one situation, our attorneys successfully obtained a confidential settlement for a client who fell down many stories – after having helped fellow elevator riders to safety. As if our client's injuries were not the worst part of the elevator accident, our client was then blamed for being injured. Upon further research, our attorneys and investigative team found that several wrongs were committed by the property management and elevator maintenance company, before our client ever stepped onto that elevator. What Caused Your Elevator Accident? Elevator accidents usually are not caused by faulty installation or manufacturing. With regular use, elevators require ongoing maintenance and safety training. But instead of spending the necessary amounts of money to keep an elevator and areas surrounding it safe, or taking the time to fully train a property manager, building owners and maintenance teams may use temporary, unsafe "solutions." Our legal teams have seen elevator parts held together with household items, safety gates missing entirely, and more. When corners are cut to save money, these accidents are bound to happen, and building owners and maintenance companies could be responsible for your injuries under premises liability. In the case of our client who fell, we found that the elevator machinery had been held together by shocking, temporary fixes – possibly for years. We found that due to this unsafe maintenance, the elevator had been faulty for some time, essentially making it a game of "elevator roulette." As a result of our findings, we were able to fight for and obtain a settlement for our injured client to help with overwhelming medical bills and ease financial concerns. We've also seen property management that simply didn't know how to react in the event of a malfunctioning elevator. Elevators have a series of protective safety measures that occur when a mechanism fails. For example, if your elevator comes to an abrupt or improper stop, there are measures in place to make sure your elevator doesn't fall and become a "tower of terror." Beyond preventing any drops, elevators are designed so that inner and outer doors stay closed if the elevator car stops and does not line up with the floor. Safety regulations instruct management not to open these doors until a rescue team or elevator maintenance team resolves the issue. But if management is not properly trained, the first thought may be to manually open those doors – and that's when someone could fall and get hurt. Elevator accidents also happen as a result of various other conditions, such as dim lighting, quickly closing doors, abrupt stops, trip-prone or slippery flooring, and inappropriate stops, not level to a floor. In cases like these, it's also often a result of maintenance or management negligence. Hurt in an Elevator on the Job? Sadly, our legal teams have seen workers who are injured in elevators. Even if you're properly trained and follow all safety protocols, there's a possibility that someone else didn't. For example, we once successfully obtained a confidential settlement for an injured freight elevator operator. Even though our client followed all rules and training, our client could not have prevented the elevator accident. The elevator was missing a protective gate, and in order to operate the elevator at all, our client had to step into the unprotected area. If you were hurt in an elevator that you were riding for work purposes, it's possible that you might have both a workers' compensation claim and a personal injury case. We're used to handling complicated cases like these, and we have the financial means and manpower to argue all facets of your case. Building owners and insurance companies might try to shrug off the blame for your injuries. Oftentimes, we hear the excuse that an old elevator does not have to meet higher safety regulations because it's older than the current regulations. Evidence in elevator accident cases can disappear quickly – it's just a matter of a maintenance company coming in and getting the elevator back up and running. At Edgar Snyder & Associates, our experience has taught us how fast scenes can change, and we know exactly the steps to take to preserve evidence.